This Happy Day cardigan from Frugi is bound to brighten up those gloomy spring days, its great for layering over tops, trousers and dungarees. 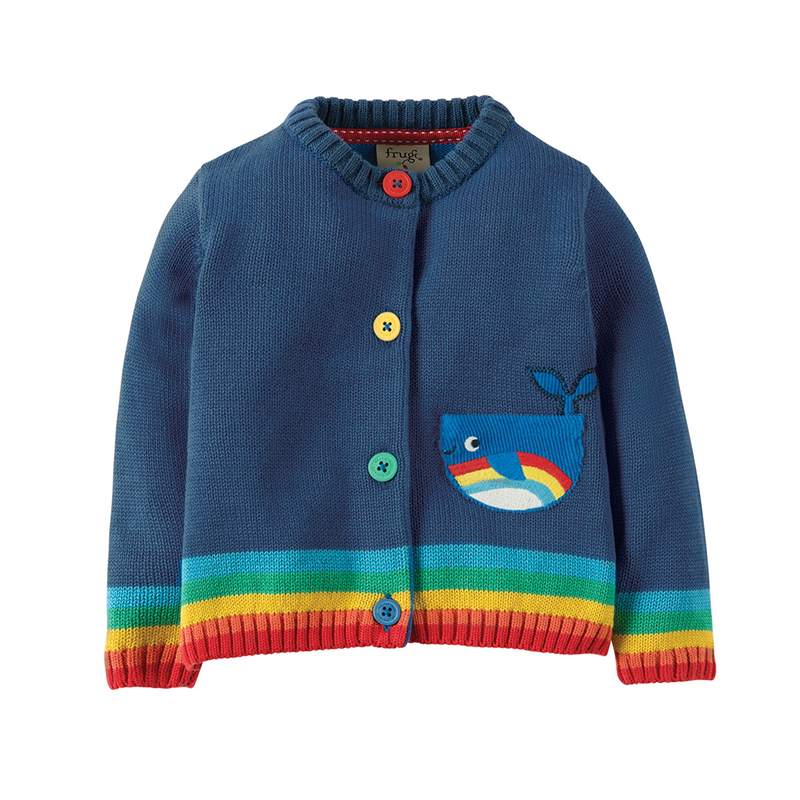 The lovely rainbow design, colourful buttons and whale pocket details will definitely make this cardigan a hit with any little boy. 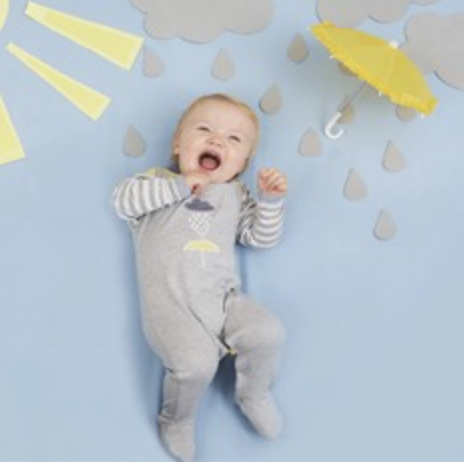 Its made from 100% organic cotton knit and is super soft, so no scratching your little ones delicate skin. This cardigan will see you all the way from Spring to Autumn. These adorable Bermuda shorts from Zara look great on boys of any age. Perfect for the beach or running around in the park, these shorts will keep your little one nice and cool all Summer long. 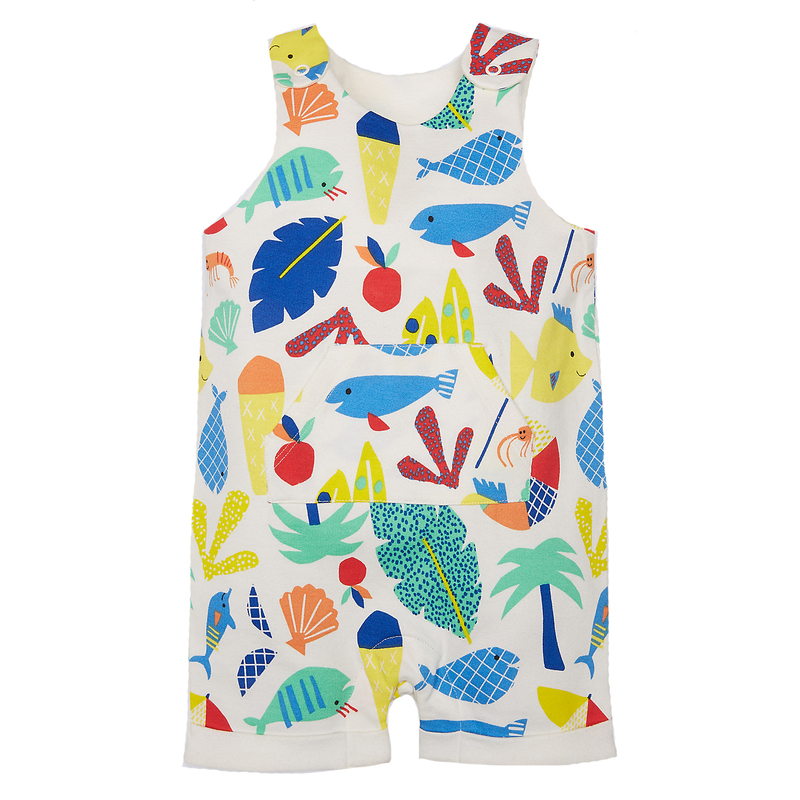 These brand new Dune Dungarees from Frugi are simply gorgeous. 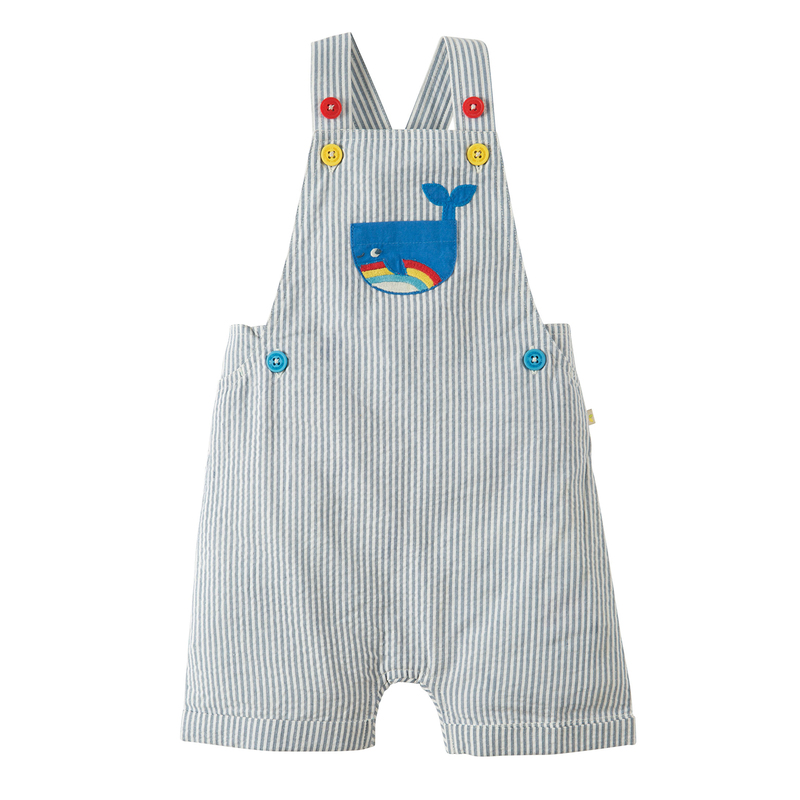 They feature an adorable whale pocket on the front and colourful buttons. They look fab with a colourful body underneath and even better paired with the Frugi Happy Day cardigan for chillier days. They are made from beautiful soft 100% organic cotton chambray making them nice and cool for when the weather is hot. 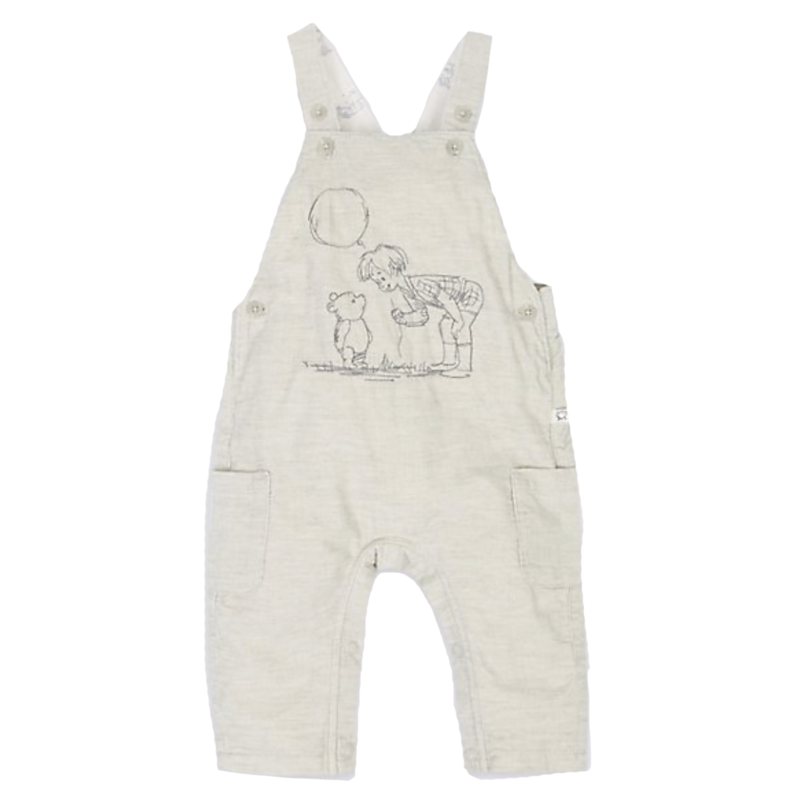 Your little one will get so many compliments in these dungarees. 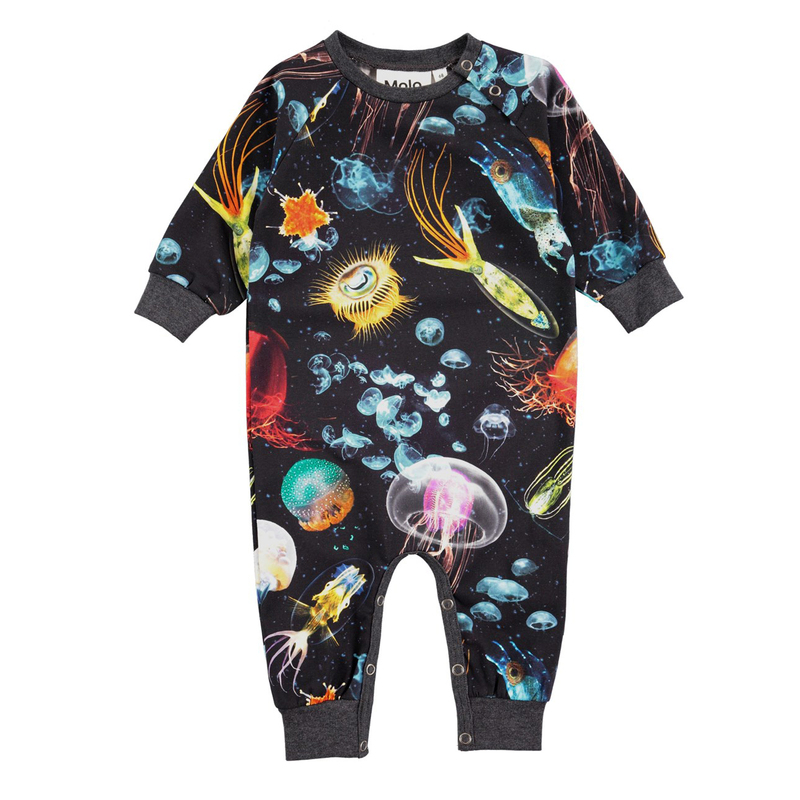 We love this long sleeve romper from Molo, it features an awesome digital sea life print which babies will love. It has rib at the neck, sleeves and legs. It has an easy snap closure at the neck and at the crotch. 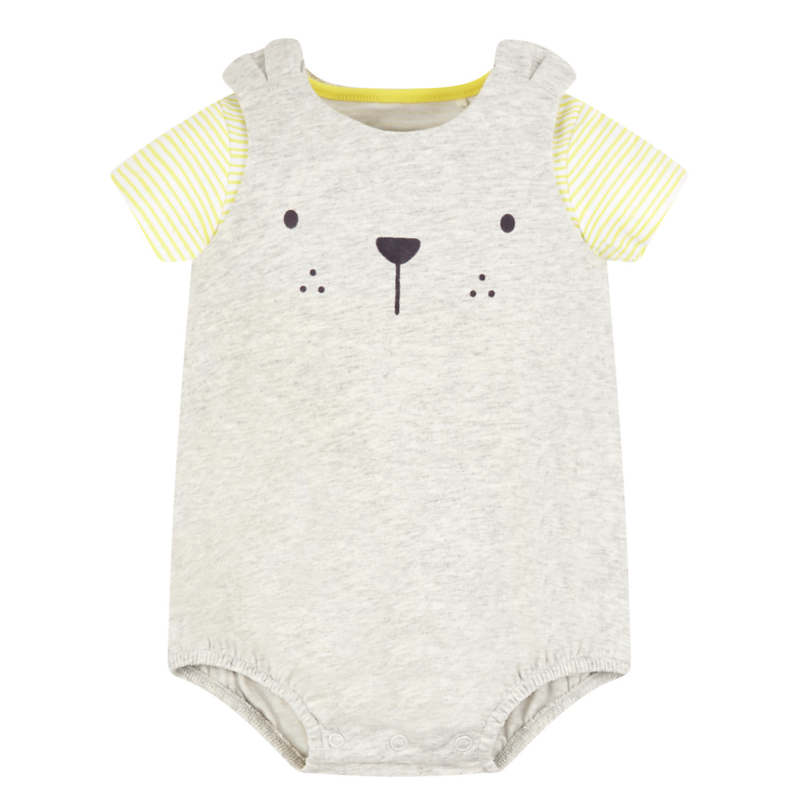 We just love this adorable romper from M&S. 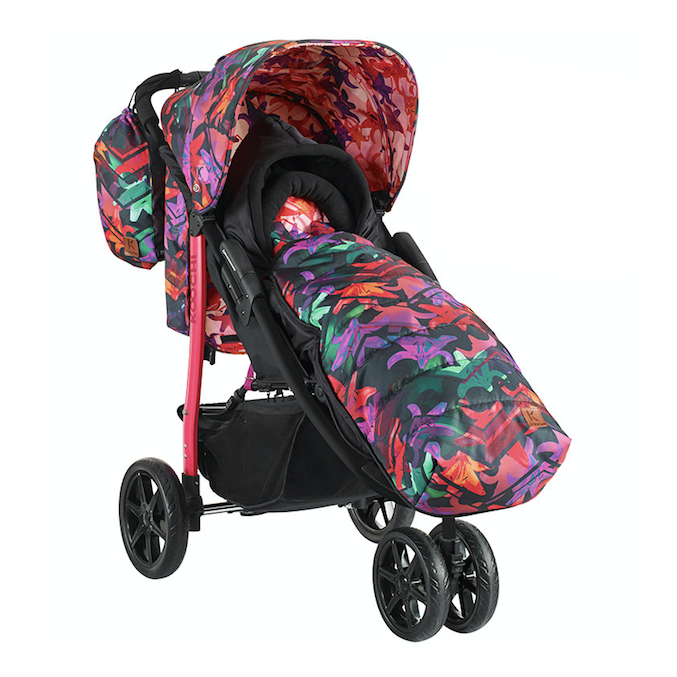 it features an all over colourful beach themed print and is super easy too get on and off. 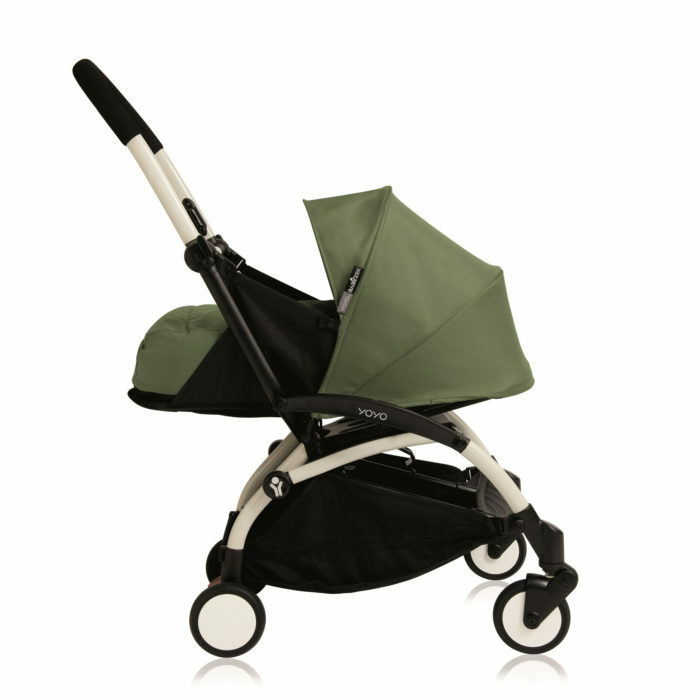 Made from pure cotton it is especially gentle on little ones skin. 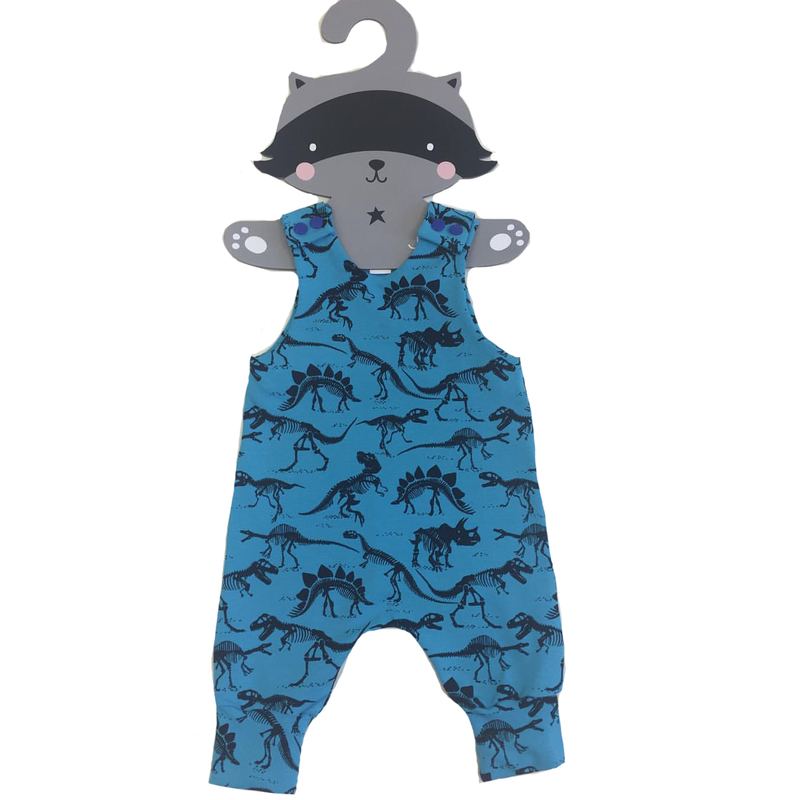 This Blue Dinosaur Romper from Me & mac is sure to be a hit with any little boy. 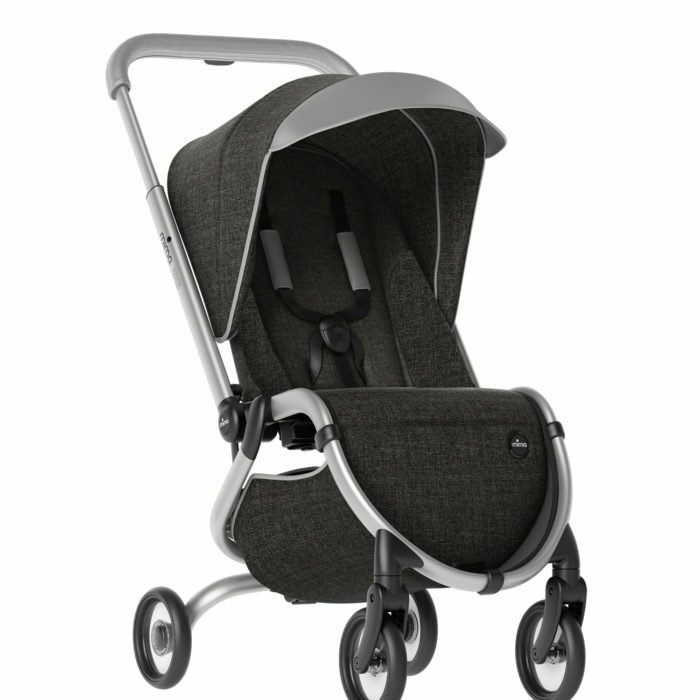 Made from oeko-tex 100 certified, super soft cotton jersey, that allow your little one the freedom of to move and explore with comfort and ease. As necessary, you can turn the incorporated cuffs up or down to fit, whilst still maintaining a stylish look. A soft and sweet cardigan for baby bunnies. Knitted from cotton with sweet stand up ears and double-breasted button fastening. 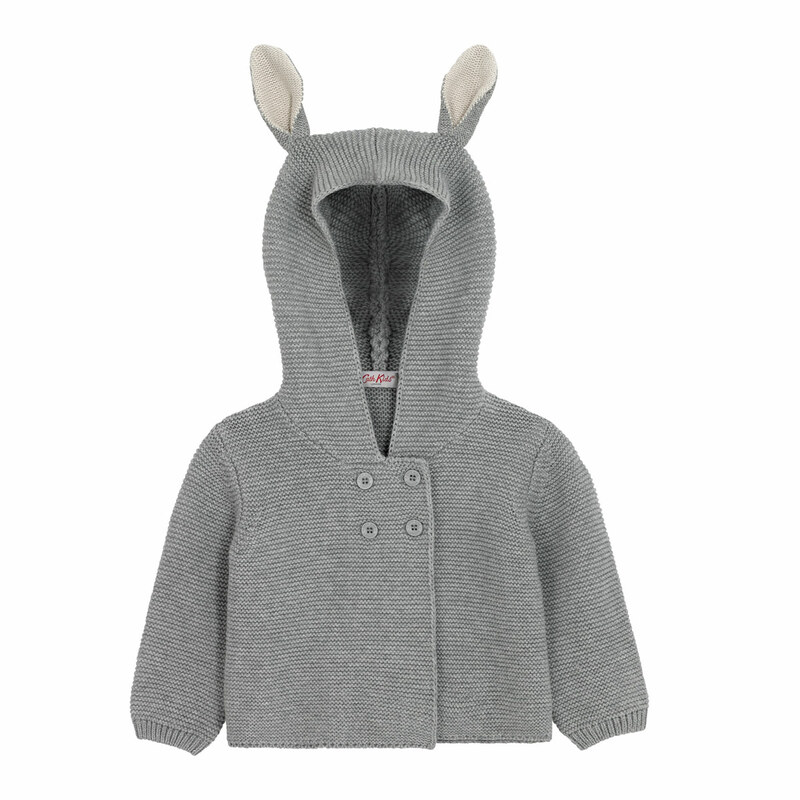 This is the perfect cardigan for keeping little ones warm from spring through to Autumn. This 3 piece outfit has been put together so that you can get them kitted out in an instant, leaving more time to play. 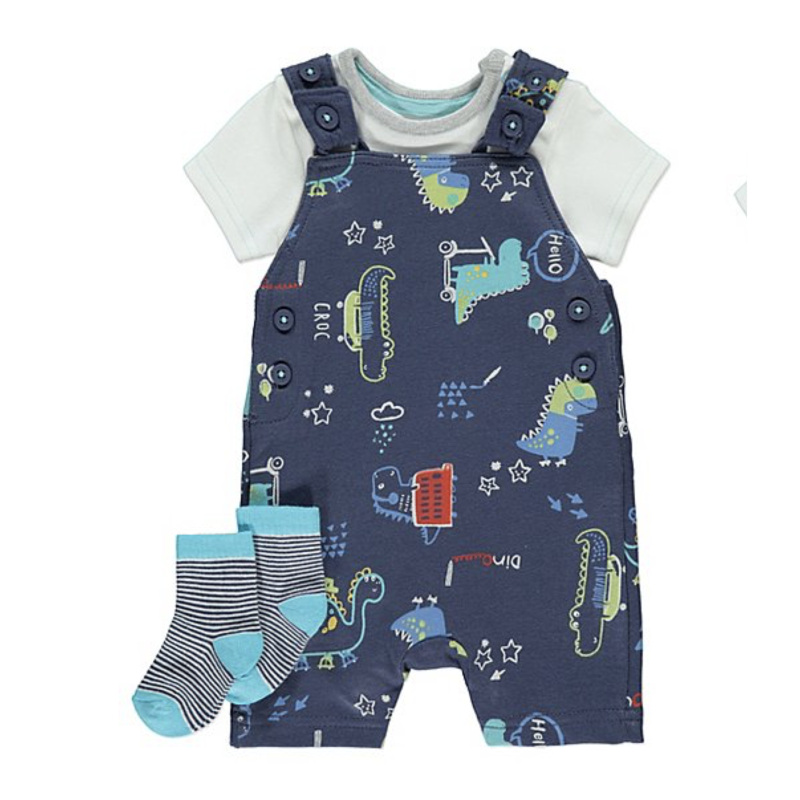 The soft cotton bodysuit ensures all-day comfort and the jersey dungarees feature a fun printed design of dinosaurs and skateboarding croc characters. Striped socks are included to keep tiny toes covered. Outfitting your little one will be no fuss at all, with this terrific 2 piece set at the ready. 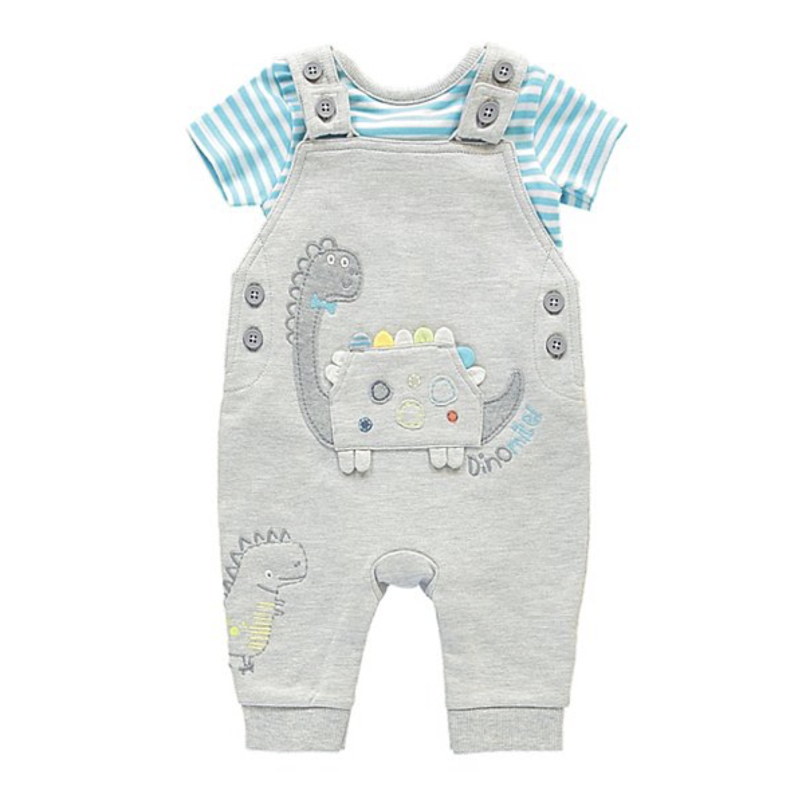 The soft jersey dungarees and pure cotton bodysuit ensure comfort and feature fun dinosaur embroidered designs. These gorgeous Winnie the Pooh dungarees from M&S are an absolute classic. 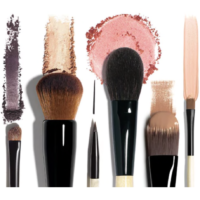 They are made from the softest 100% cotton and they wash beautifully. 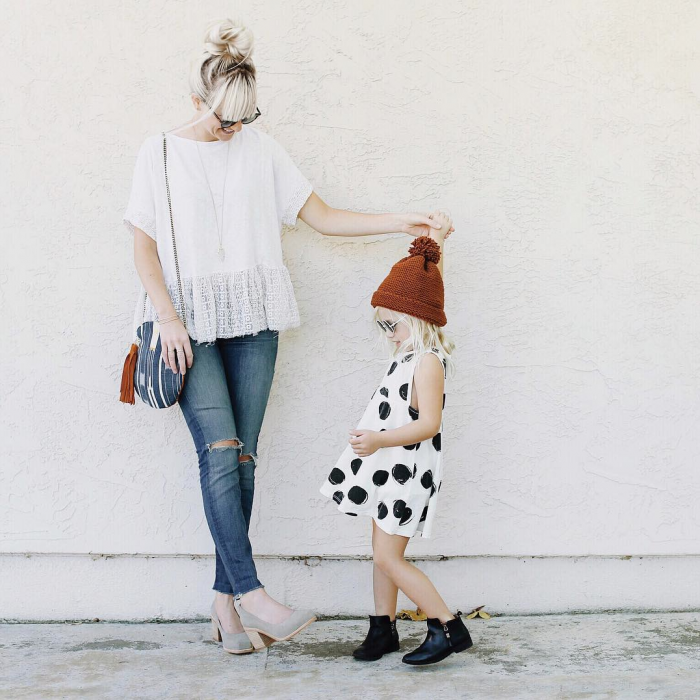 Your little one will get compliments wherever you go in these. 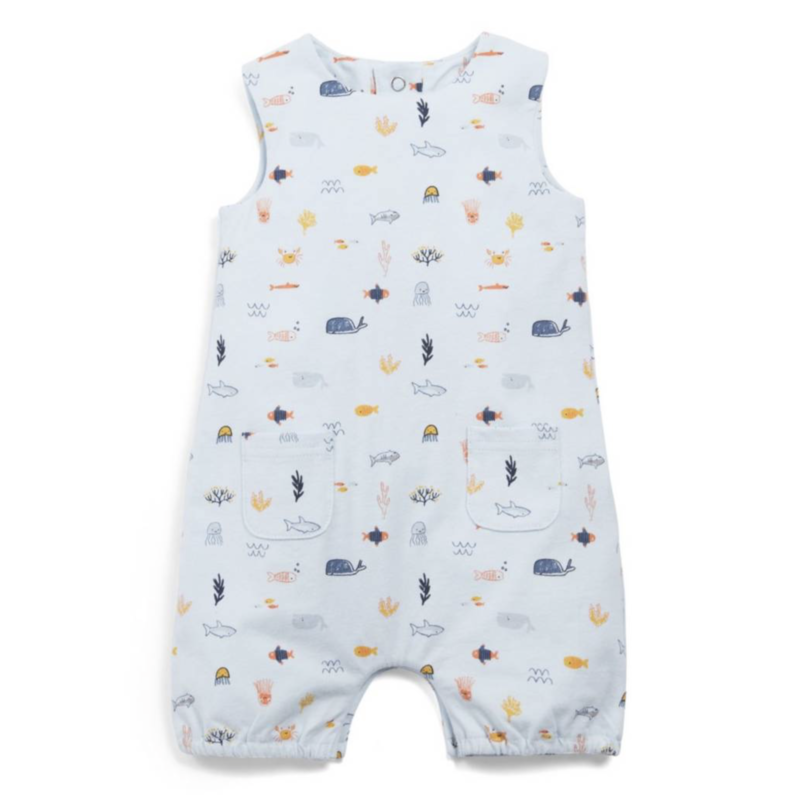 This adorable Sea Print Shortie Romper from Mamas & Papas is perfect for keeping your little one cool on hot Summer days. It features short sleeves and legs and is made from 100% cotton. 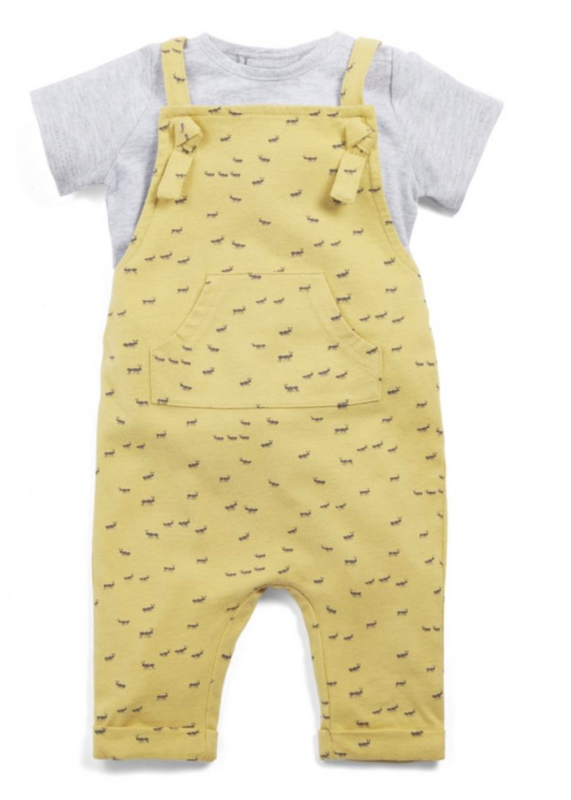 We love this t-shirt and printed dungaree set from Mamas & Papas. 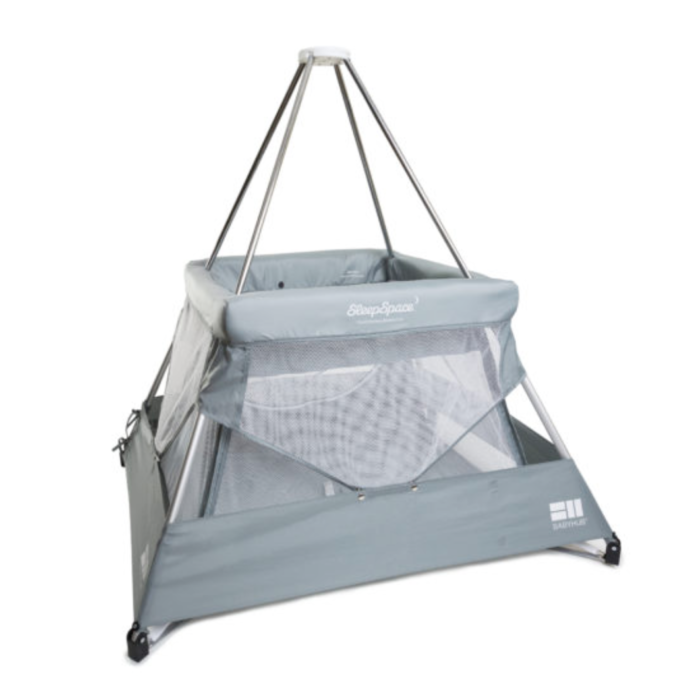 It features an all over ant print which will be a sure hit with any little boy. It is perfect for the summer months and is made from a lovely 100% cotton. 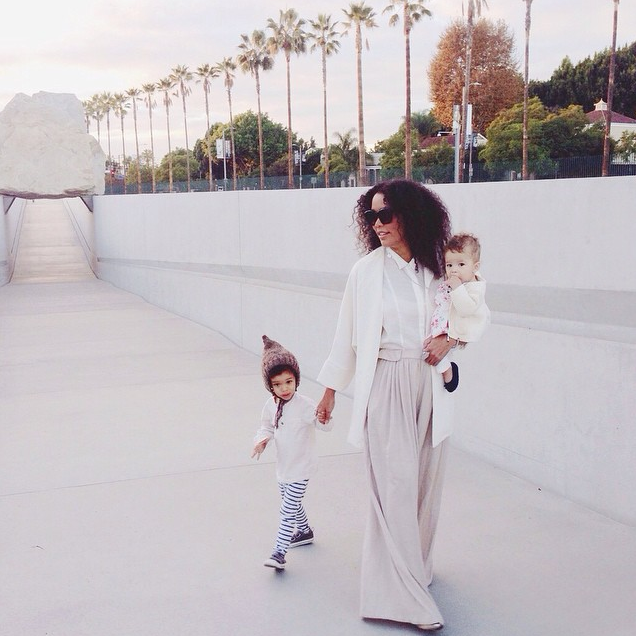 These gorgeous linen trousers from Zara are an absolute essential for your little ones Summer wardrobe. They are perfect for keeping them nice and cool on those hot days and they look great paired with just about anything. 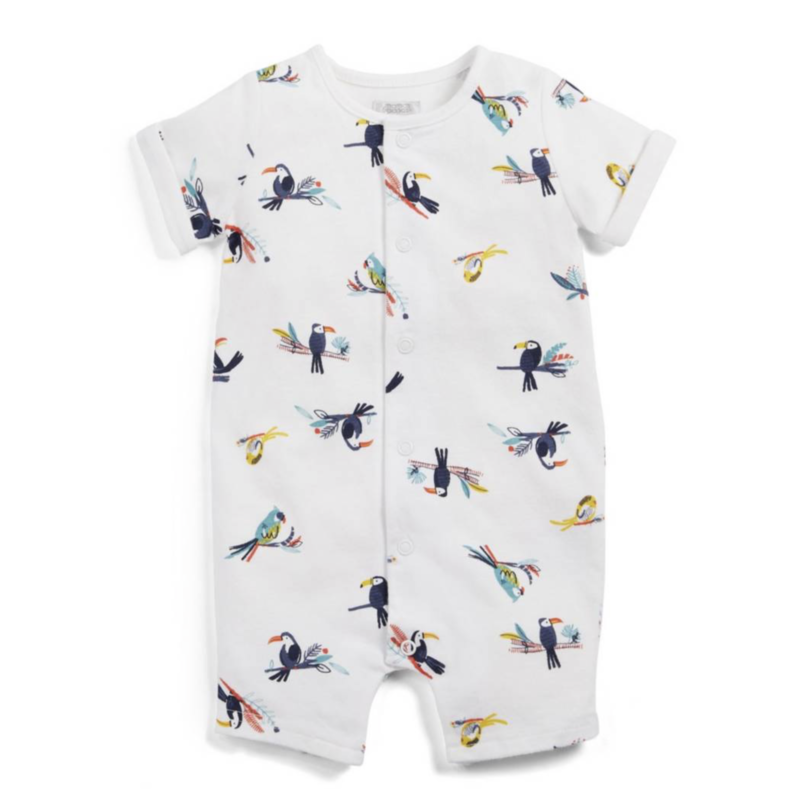 We just love this toucan print romper from Mamas & Papas. The short sleeve and short leg romper is perfect for keeping little ones cool throughout the summer months. Its made from 100% cotton and is super soft. These cute cotton bunny shorts will make a great addition to your little one's wardrobe and are perfect for warmer days. 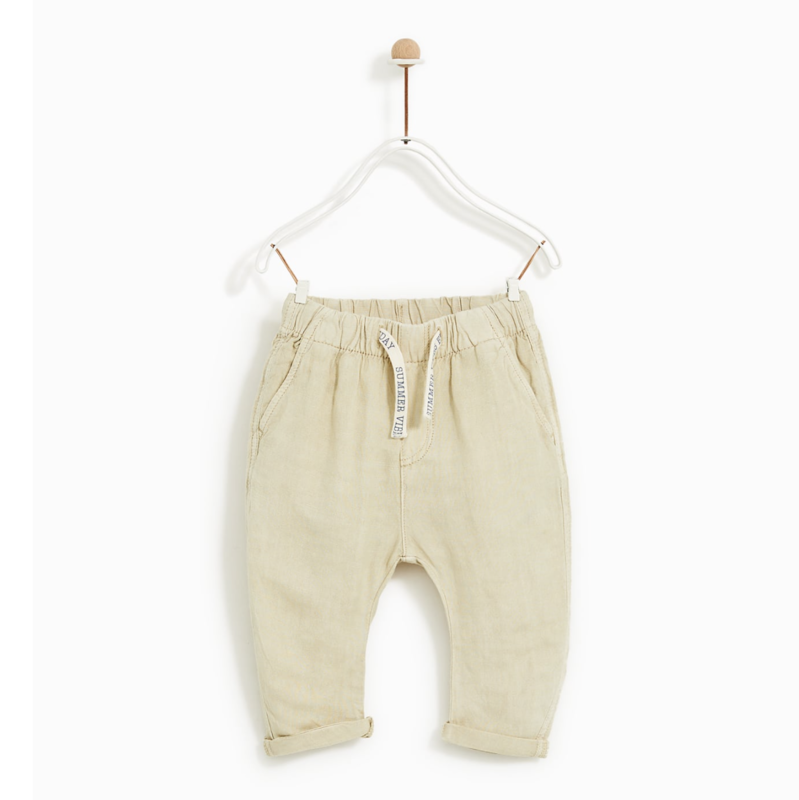 Both have wide, elasticated waistbands to keep tiny wriggly bodies comfy all day and are crafted from the softest cotton jersey fabric. Whether your little one is playing sleeping lions or roaring as they crawl around, they'll be cute and comfy in these sweet rompers! With a sleeveless design for those warmer days and poppers to make dressing wriggly bodies easy, they're made from soft cotton that's gentle on your little tiger's delicate skin. This bibshorts and bodysuit set will save you valuable time in the morning. 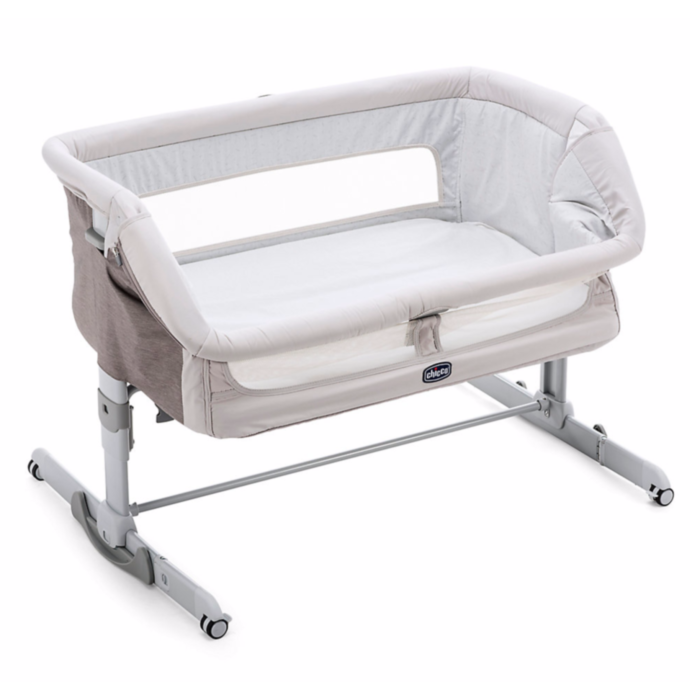 We've used cotton-rich fabric with a subtle stretch for all day comfort – whether taking their first steps or enjoying a snooze. 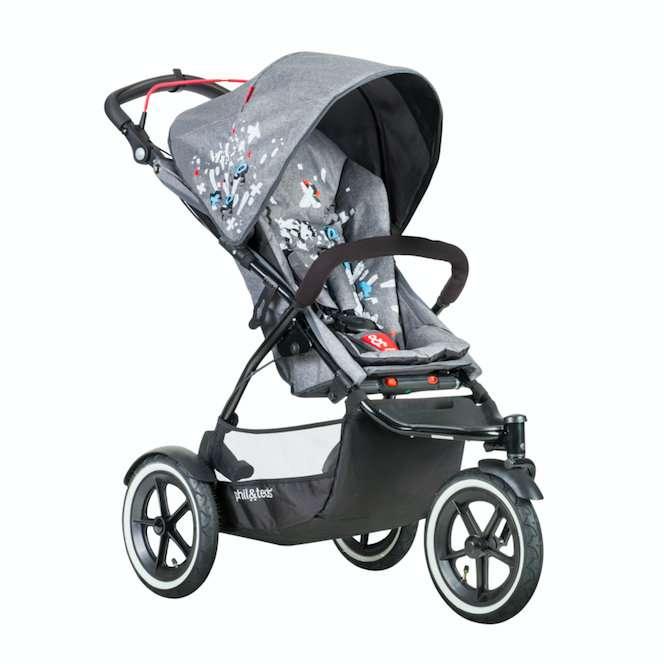 You'll find poppers in all the right places for easy-peasy nappy changes, and fun 3D applique on the front. 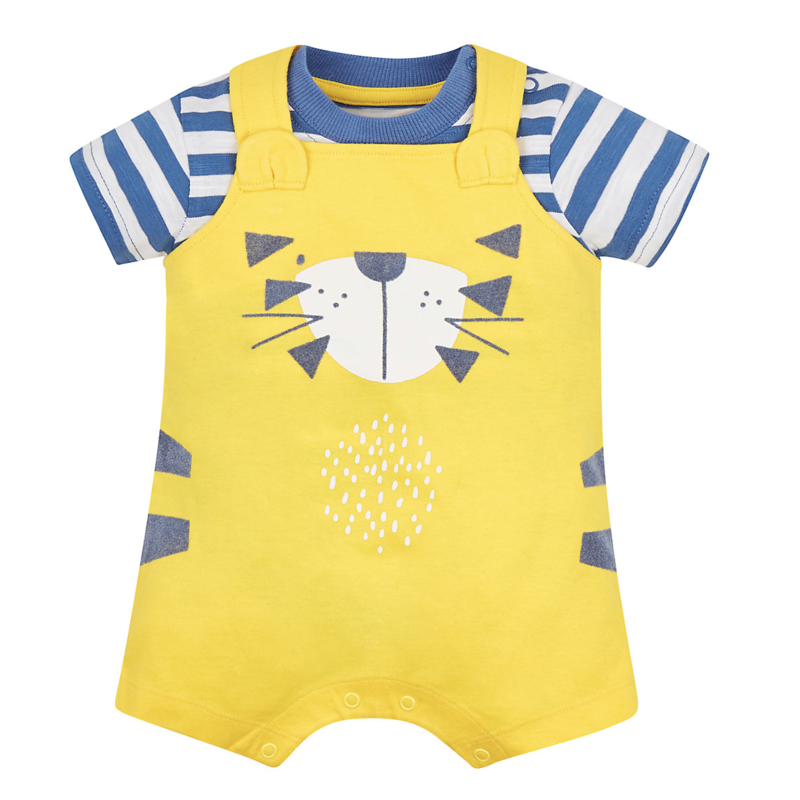 To finish, we've included a short-sleeved bodysuit with sunny yellow stripes, perfect for mixing and matching all year round. Can you spot the tigers? 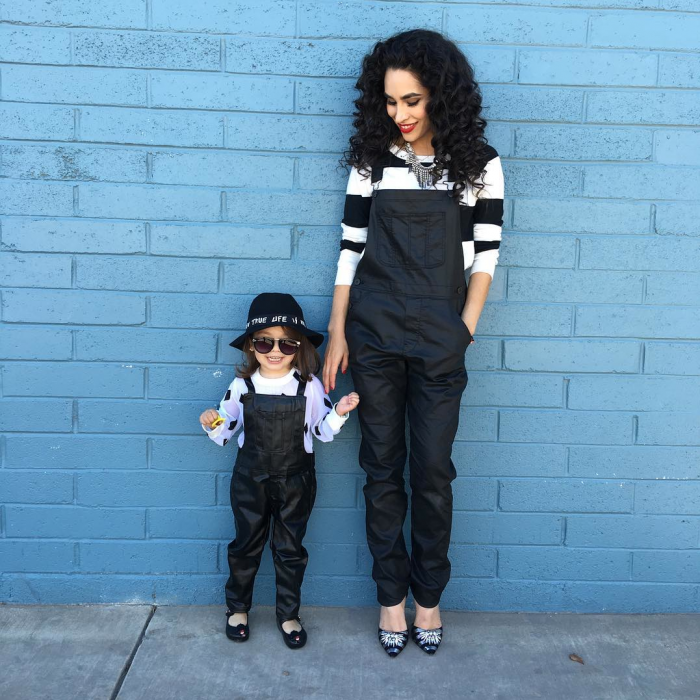 Add a touch of fun and some monochrome magic to your little one's wardrobe with these adorable dungarees. Crafted from soft cotton, Myleene has designed these dungarees with popper openings for easy dressing and bound edges for comfort. 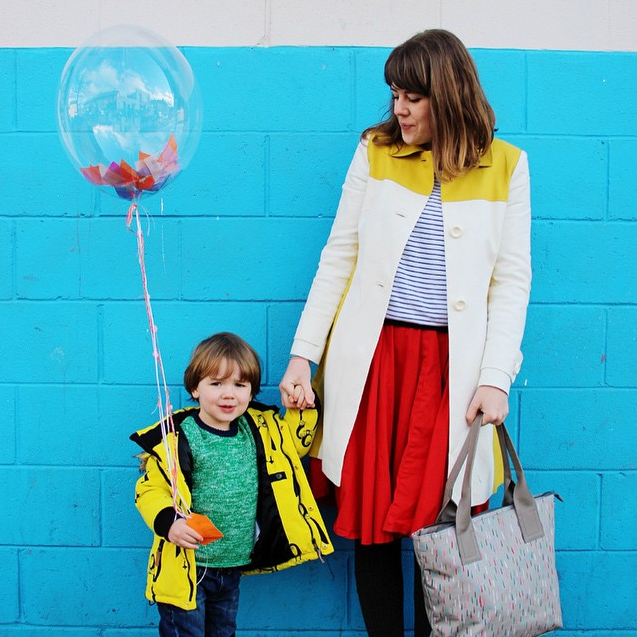 Why not add some bright colour and layer over a simple bodysuit? 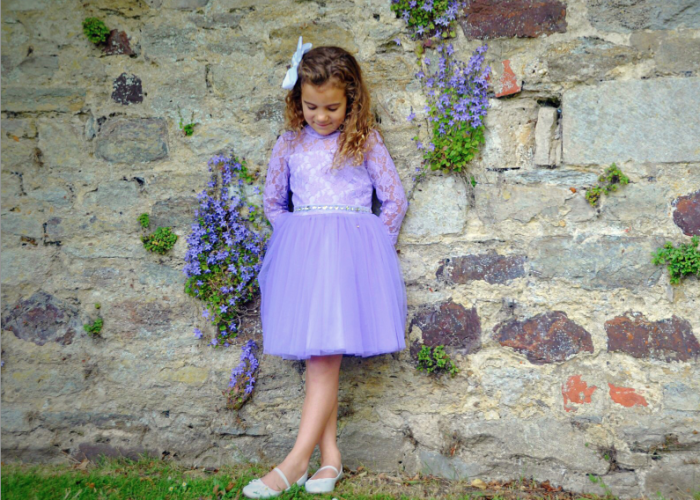 The perfect outfit for your little one on warmer days! 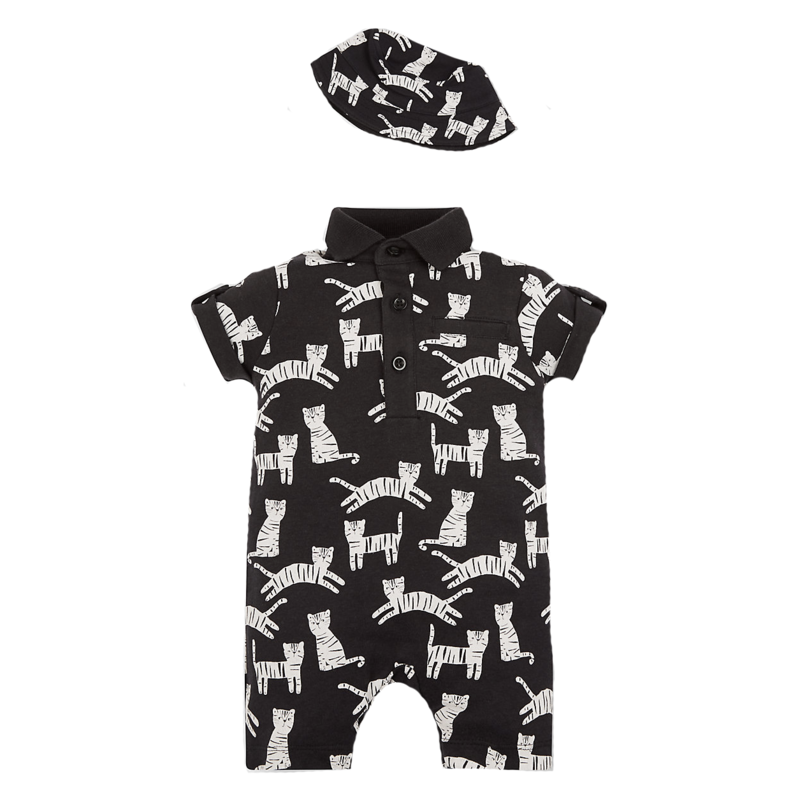 Crafted from cotton for cool comfort with an adorable tiger print, this cute romper and hat set will add some monochrome magic and a touch of MY K fun style to your little one's wardrobe. 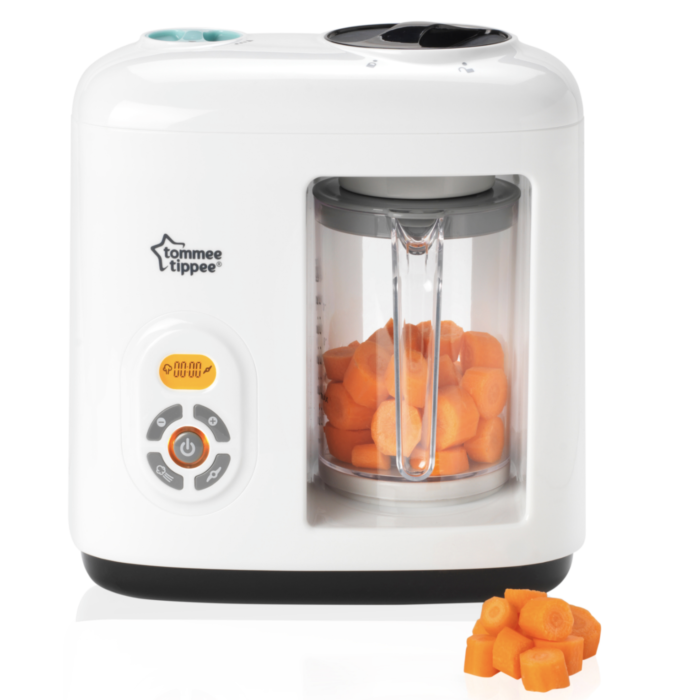 Designed with simple button and popper openings for fuss free changes. We absolutely love these Wondersuits from Bonds. Made from soft cotton with added stretch for comfort, the two-way zip means you can change baby fast, making nappy changes super easy. 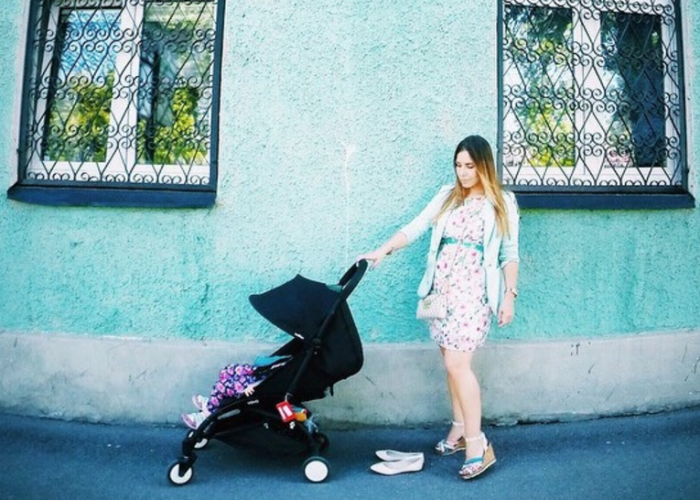 The soft, stretchy rib fabric moves with your baby. 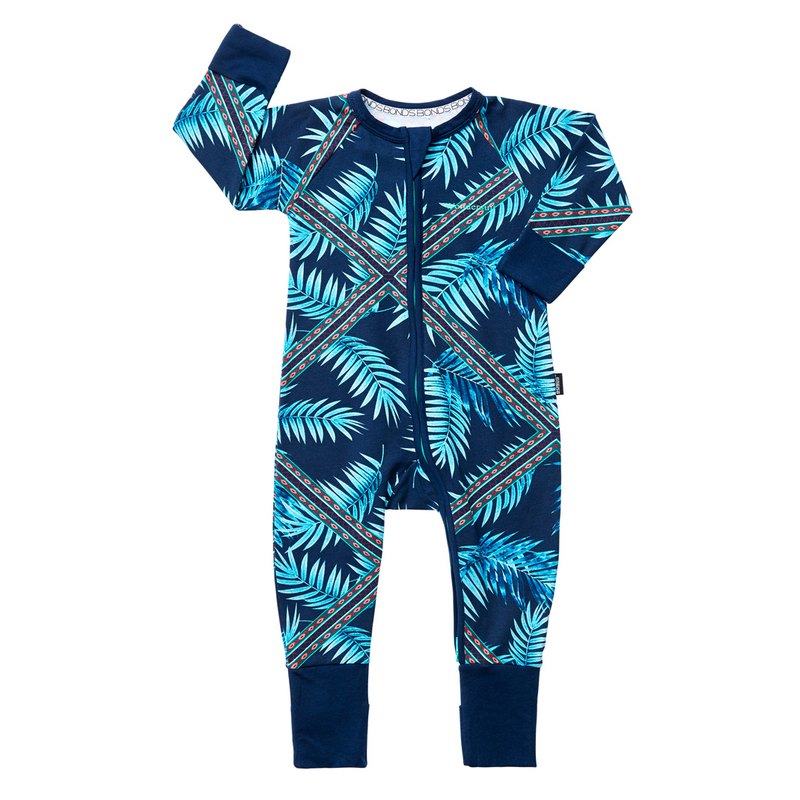 The protective zip cover keeps baby's skin stays safe and fold over cuffs on feet for extra warmth, with long sleeves and a striking leaf print for a fantastically bold choice. 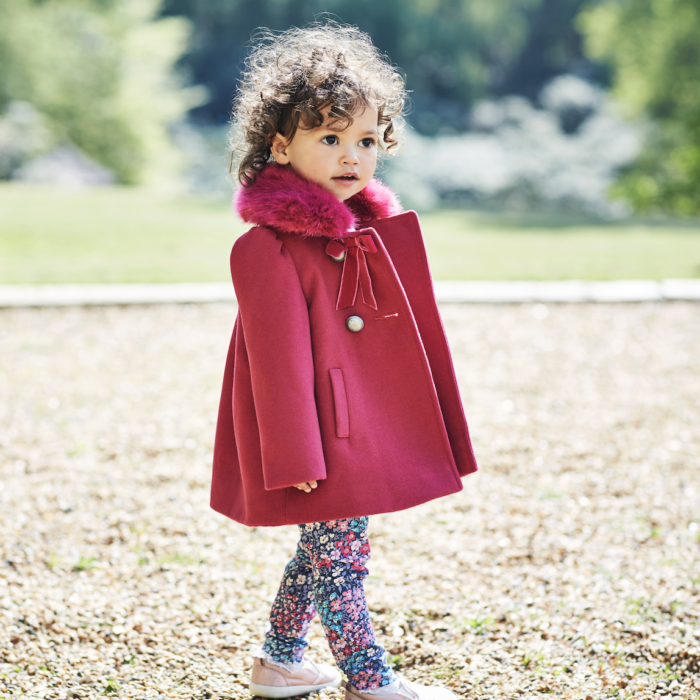 Crafted from the softest cotton with your little star's comfort in mind, this cute set designed by the fabulous Myleene Klass is perfect for playtimes or cuddles! Wear together for some monochrome magic, or mix and match with other pieces for a super look! 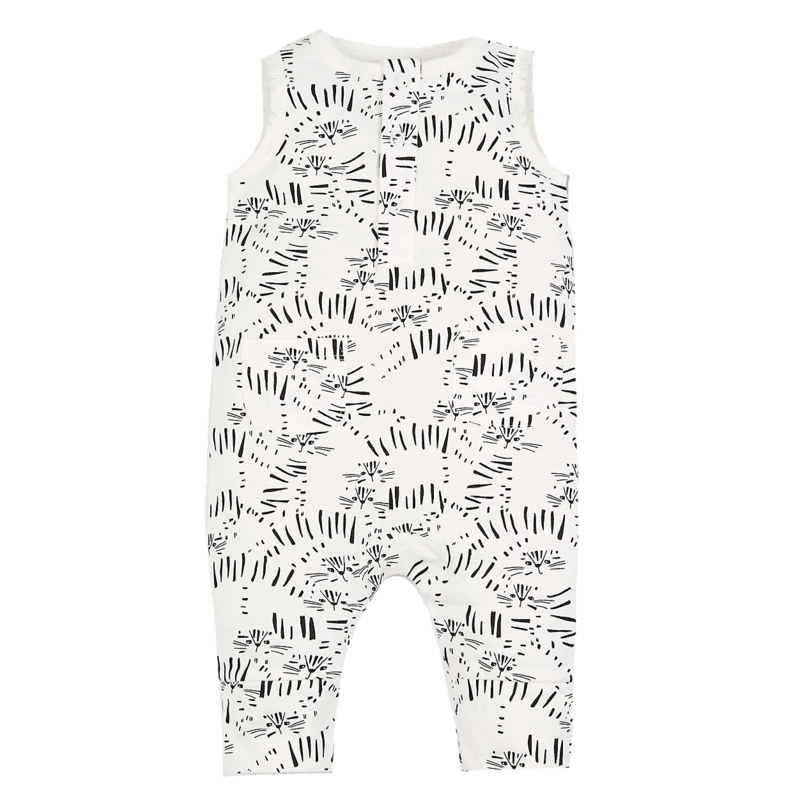 If you are a monochrome fan then this panda print romper from Me & Max is the romper for you! Featuring a black Panda print throughout, with matching plain black ankle cuffs. 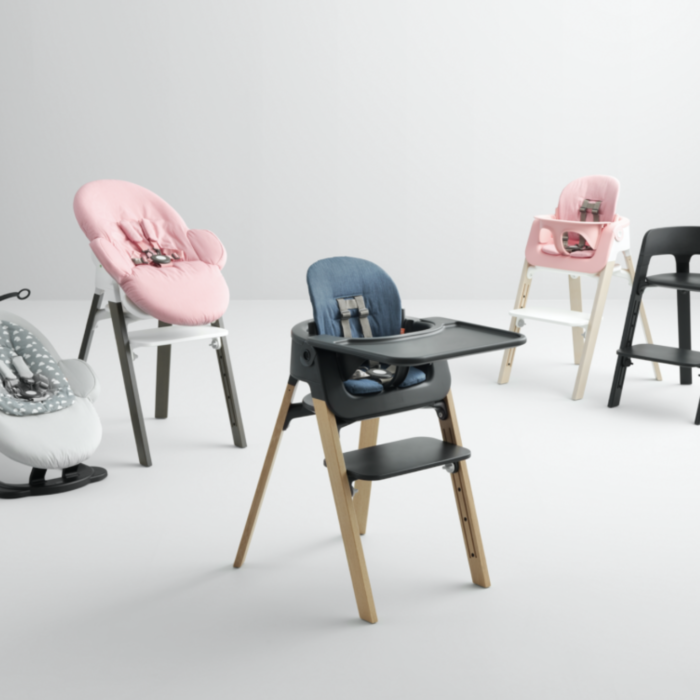 What’s more, they are made from oeko-tex 100 certified, super soft cotton jersey, that allow your little one the freedom to move and explore with comfort and ease. As necessary, you can turn the incorporated cuffs up or down to fit, whilst still maintaining a stylish look. 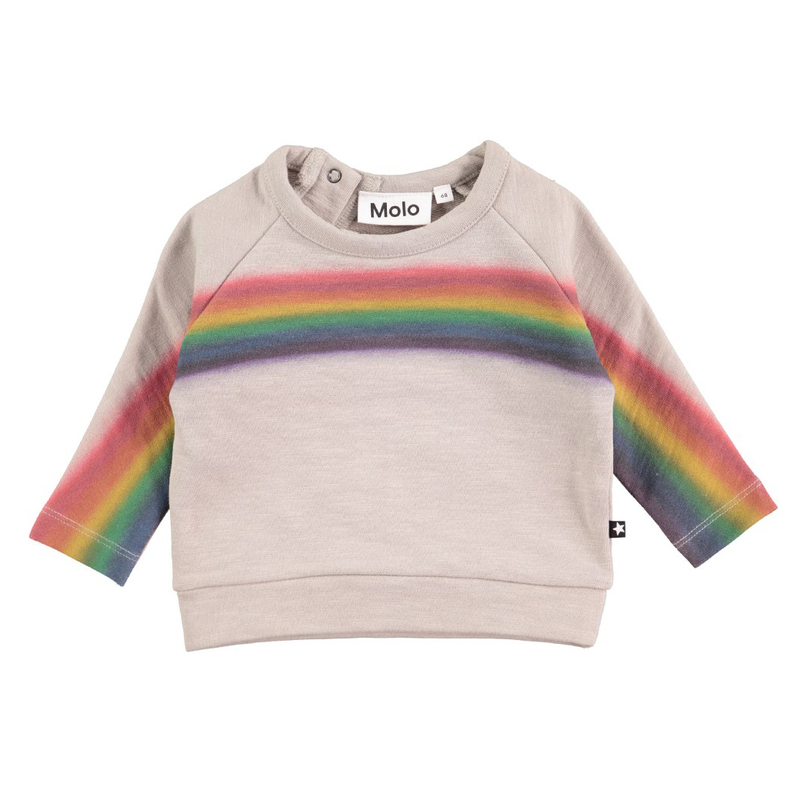 This long sleeve sweatshirt from Molo with a sprayed rainbow over the chest and sleeves is sure to be a hit with any little boy. 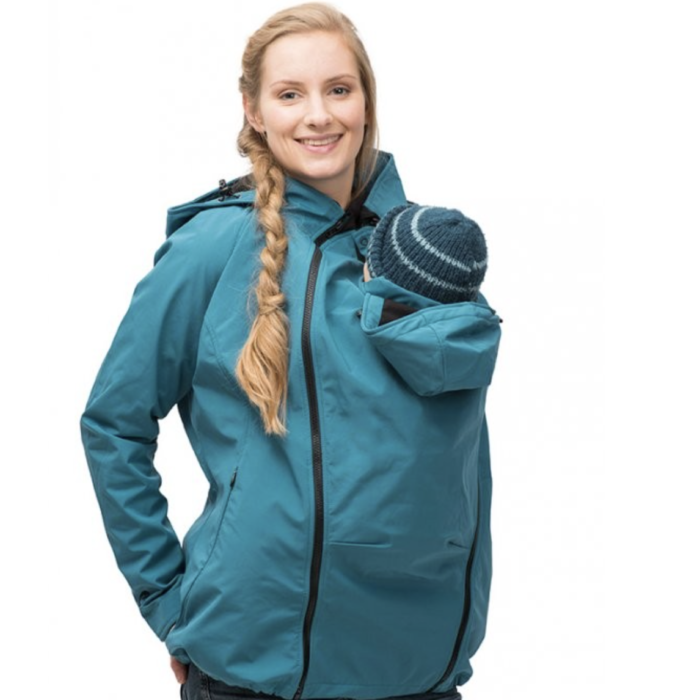 It has an easy snap closure at the neck and is really nice and soft. 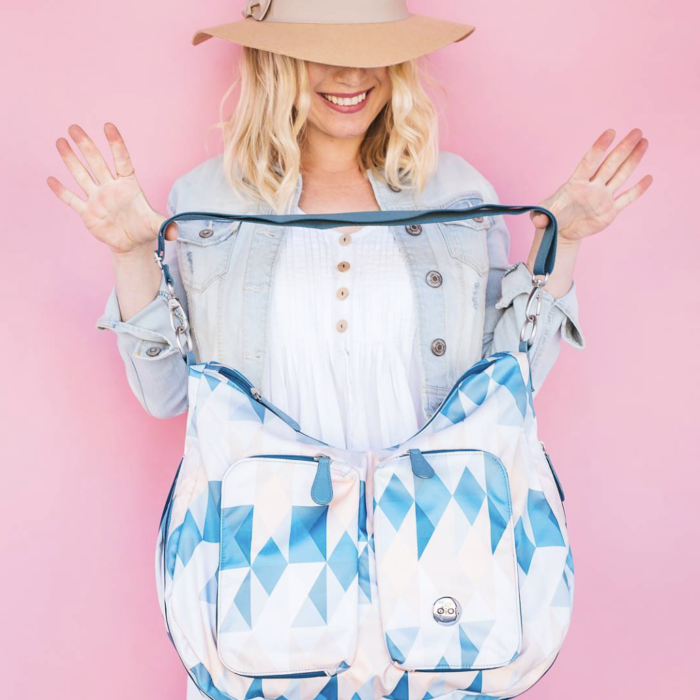 Its perfect for layering up on cooler Spring days.